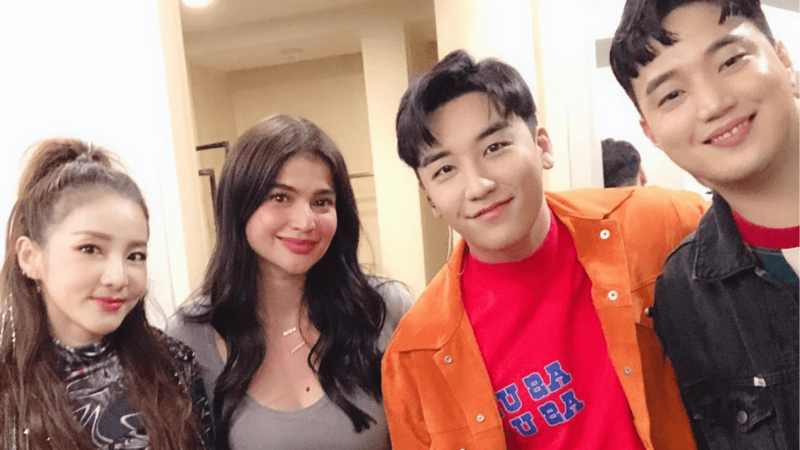 K-pop superstar and Big Bang member Seungri was recently in Manila for The Great Seungri Tour 2019. The Manila leg of Seungri’s concert was held at the SM Mall of Asia Arena on January 19. Present at the event were Anne Curtis, Ryan Bang, and former 2NE1 member, Sandara Park. Seungri thanked Anne, Ryan, and Sandara for supporting his tour. Sandara was a special guest at the show where she and Seungri sang Iñigo Pascual’s song, "Dahil Sa ‘Yo." Sandara and Anne shared Seungri’s photo on Instagram and they congratulated the singer on his successful show. Anne commented that it was her first time to watch, calling it "pretty funny and awesome."